At Hostie Hats we give you the option to create your very own unique hat online and have it delivered to your door! 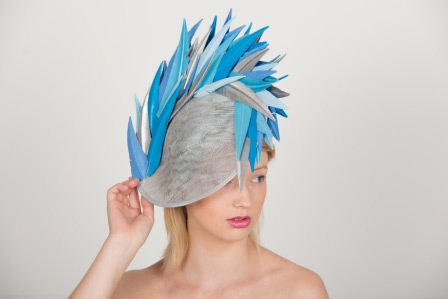 Just select your preferred style of hat or fascinator and then choose your own colours from our extensive list and create a headpiece to perfectly co-ordinate with your outfit! I love hats but have never owned a Hatinator before, but my hat is perfect! It is a perfect colour match for my outfit, it is understated but interesting and best of all, it’s a one off! I just wanted to say a massive thank you for my beautiful hat. I wore it to Ascot today and have never before felt as I did today. I loved every second of wearing it, and enjoyed many compliments. I hope you love what you do, as the hats you make are truly beautiful. I have received my hat and it is perfection. Thank you ever so much. It has been a pleasure to work with you. Now need more hat occasions in my life. Its just arrived, it couldn’t be more perfect! MAGNIFICENT! Thank you so very much-and for your speed. The hat has arrived and is simply glorious! Thank you, I may have to find excuses to wear hats more often now …! I received so many compliments for ‘that hat’ ! Thank you! The hat was lovely and the colour absolutely perfect for my outfit. Thank you so much again, so many folks commented on the hat and said it was beautiful. I received my hat yesterday and just wanted to say thank you. Its absolutely beautiful, I look forward to wearing it next Saturday at the wedding. 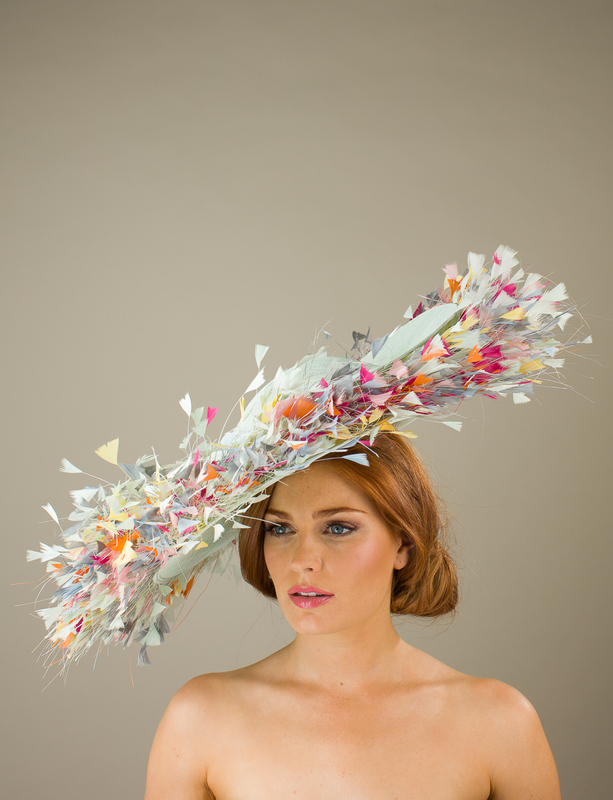 Take a look at our collections of stunning bespoke and ready to wear millinery. 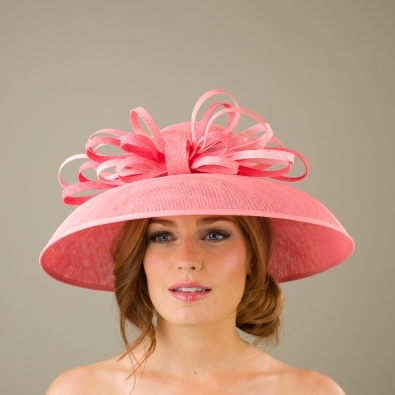 You will find unique hats, fascinators, pill boxes and head wear for every event and social occasion. 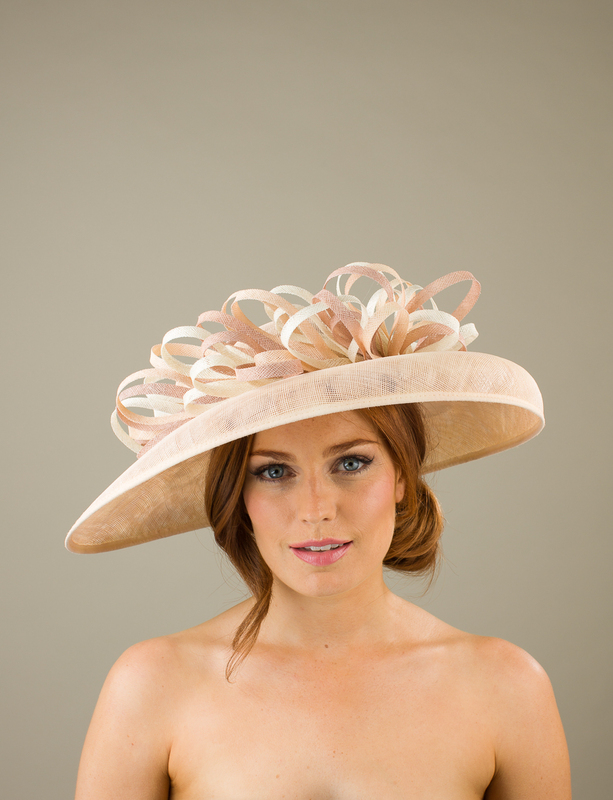 All our hats and fascinators are beautifully crafted in a range of materials from large brimmed sinamay dishes to felt pillbox hats trimmed with feathers and flowers. All of our designs can be colour matched to any outfit making a bespoke design at no extra charge, just choose your style of hat and then select any colour you like from our extensive list. 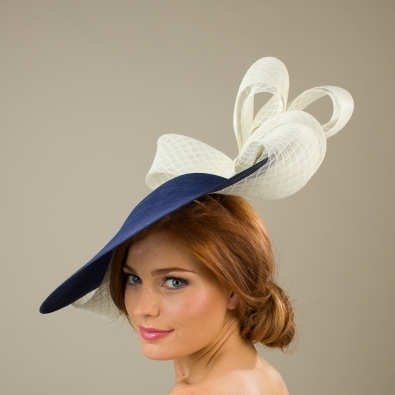 Whether you are looking for a hat or fascinator for Ascot, Henley, Aintree or Cheltenham races, Weddings, Barmitzah’s or Christenings, if you are a mother of the bride or groom, or attending a society party Hostie Hats has something to suit every occasion. Hostie Hats is fast becoming the go to site for stylish and unique headwear and our designs have featured in the pages of Sunday Times Style Magazine, Grazia, FT Magazine and other leading style publications. 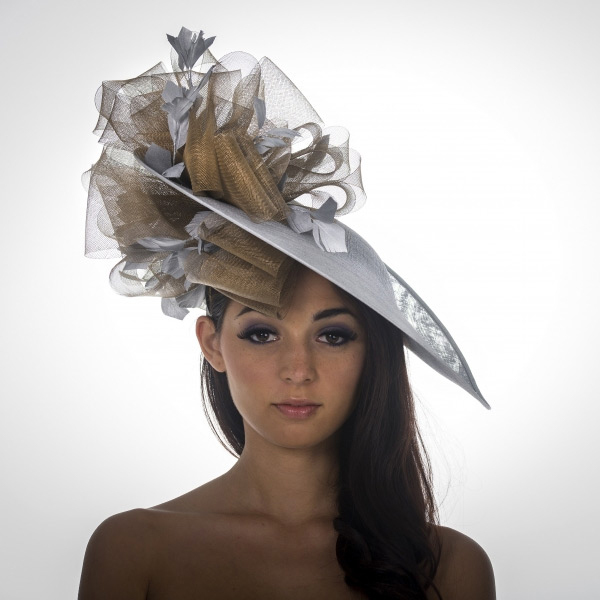 All of our hats and fascinators are hand made at our Lincolnshire HQ to the very highest quality and using British sourced fabric and trimmings which can be sprayed to get the perfect colour to compliment your outfit. 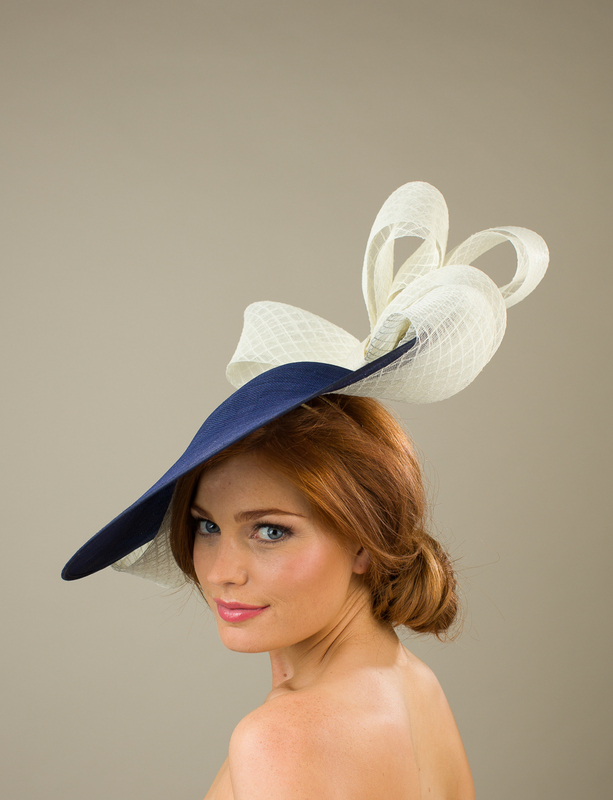 All the hats featured on the website, including past collections can be ordered in any colour from the chart. Designs are made to order, but we can often work to clients deadlines, so, if you need your hat in a hurry just give us a call and we will do our best to help!